On Sunday, March 27, from 1 to 4pm, Dallas’ beloved Easter tradition of Easter in Lee Park was hosted for the first time by the Lee Park and Arlington Hall Conservancy and the City of Dallas. 2016 marked the 50th anniversary of the time-honored tradition. Thousands of attendees brought picnic baskets and blankets for the festivities that included the famed Pooch Parade, live music from The Gypsy Playboys, Easter Egg Hunt and pictures with the Easter Bunny. This event was hosted by Real Housewives of Dallas’ LeeAnne Locken and Lifestyle Guru Steve Kemble, who made a personal appearance with GALT’s greyhounds! 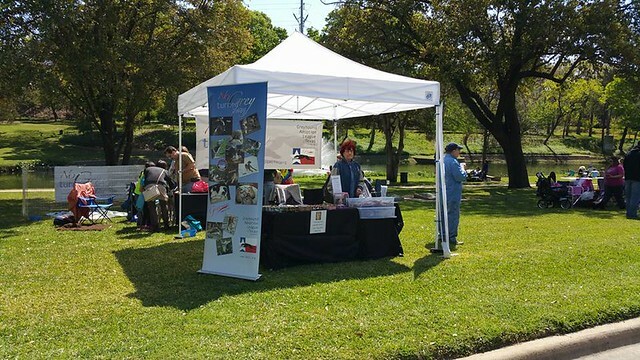 GALT volunteers with their greyhounds were there en masse and shared a delicious “pot luck” picnic. It was an afternoon of fun, festivities and dressed up greyhounds! It was a perfect venue to visit about the joys of greyhounds as companion pets. Be sure to take a minute to browse through all the great pictures of the event.